About Company: Paper is more than an industrial product. It is the cultural barometer of a nation. We need paper every day for widening the frontiers of our knowledge. 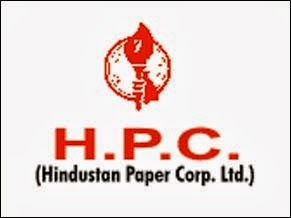 Yet, the per capita annual consumption of paper at about 4 kgs in India is among the lowest in the world today. Qualification: A Degree in Engineering or Technology granted by a Statutory University, A Degree in Engineering or Technology granted by an institution empowered to grant such degree by an Act of parliament. , Graduate examination of professional bodies recognized by the Central Government as equivalent to degree. How to Apply: Candidate who fulfill above norms may apply on plain paper to the Deputy General Manager (HR&ES), HPC Ltd, Nagaon Paper Mill, P.O. Kagajnagar, Dist: Morigaon, Assam, PIN-782413.